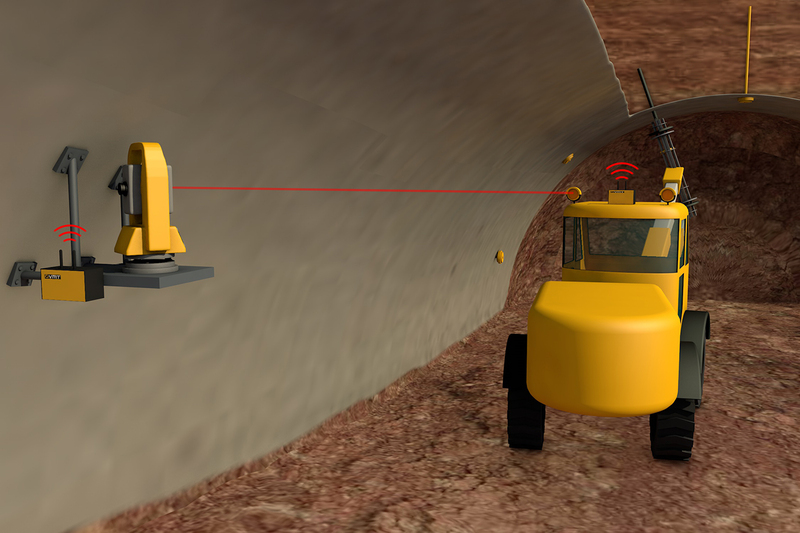 This navigation system for conventional tunnelling has been developed together with rockbolter manufacturers. TUnIS Navigation Rockbolter is a total station and sensor-based navigation system for precisely setting anchors in the tunnel arch to reinforce the rock. The system determines the exact position of the drill rod and visualises it for the machine operator in real-time. In combination with the speciﬁed anchor pattern, the machine operator can use it to not only start each anchor at exactly the right position without manual measurement work, but also to set the drill rod at precisely the planned angle. Sensors exactly record the position of the drill rod in space and display it to the machine operator on a display together with the planned axis. Accordingly, the machine operator can align the drill rods quickly and precisely. Conventional measurement of the anchor points requires regular work under unsecured rock. When using the TUnIS Navigation Rockbolter, manual measurement of the anchor points are completely unnecessary which means a considerable increase of occupational safety for each such project.